Who says there’s nothing but bad news coming out of our nation’s capital? Despite her usual blunt and frank assessment of what she routinely sees as the “negative” policies of the Republican majority in Congress, and President Donald Trump in particular, Rep. Alma Adams (D-NC-12) had little to complain about last week. Beyond announcing Sunday that she will seek a third-term in office representing Charlotte-Mecklenburg and parts of surrounding counties that make up the 12th Congressional District, and then on Monday being inducted into the Charlotte-Mecklenburg Women’s History Hall of Fame, Adams was pleased that many of her district and issue priorities, especially relating to Historically Black Colleges and Universities (HBCUs) in North Carolina and elsewhere, were addressed in the $1.3 trillion federal budget that Pres. Trump had threatened not sign last week, but after a little veto drama, eventually did. · The maximum award for Pell Grants is raised by $175 however; this does not include an index to inflation, a shift to mandatory funding, or a restoration of Pell Grant eligibility. 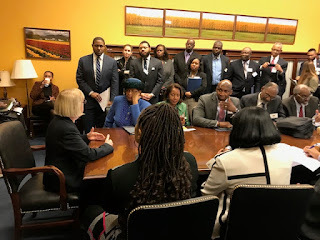 · Increases funding for the HBCU Capital Financing Program by $10 million to allow schools experiencing financial difficulty due to their loans a deferment on payment for 3 to 6 years. Congresswoman Adams, the co-chair of the Bipartisan Historically Black Colleges and Universities Caucus, was elated. “I’m thrilled to see the critical resources for HBCUs that our coalition advocated for, such as the expansion of the capital financing program, included in the 2018 omnibus. This measure will ensure security for nearly a dozen HBCUs and the students they serve, including Bennett College in North Carolina, through expanded access to essential funding for campus infrastructure and student programs,” she said. Ratification of the Omnibus budget came on the heels of the successful HBCU STEAM Day of Action on Capitol Hill, where the Bipartisan HBCU Caucus joined forces with the Science, Technology, Engineering, Art, and Mathematics (STEAM) Caucus, and, according to Rep. Adams’ office, “… brought HBCU presidents and administrators from thirty-four schools, including NC A&T, Johnson C. Smith University, Shaw University and Fayetteville State University, and industry leaders, to Capitol Hill to meet with key members of Congress and senior staff from both parties and in both chambers. The meetings allowed the coalition to advocate for bipartisan priorities impacting HBCUs and increased efforts to diversify the workforce. Those priorities include increased resources for 1890 land-grant universities through the Farm Bill, reauthorization of the Higher Education Act, STEM initiatives, and appropriations. It is not widely known, but 50 years ago next week, on April 4, 1968, civil rights leader Rev. Dr. Martin Luther King, Jr. was supposed to be in Wilmington, NC, to take part in a voter registration campaign sponsored by the local branch of the Southern Christian Leadership Conference. But a few days earlier, Dr. King called to postpone his appearance, saying that he was needed in Memphis, Tenn. to support the sanitation workers there, who were going on strike. 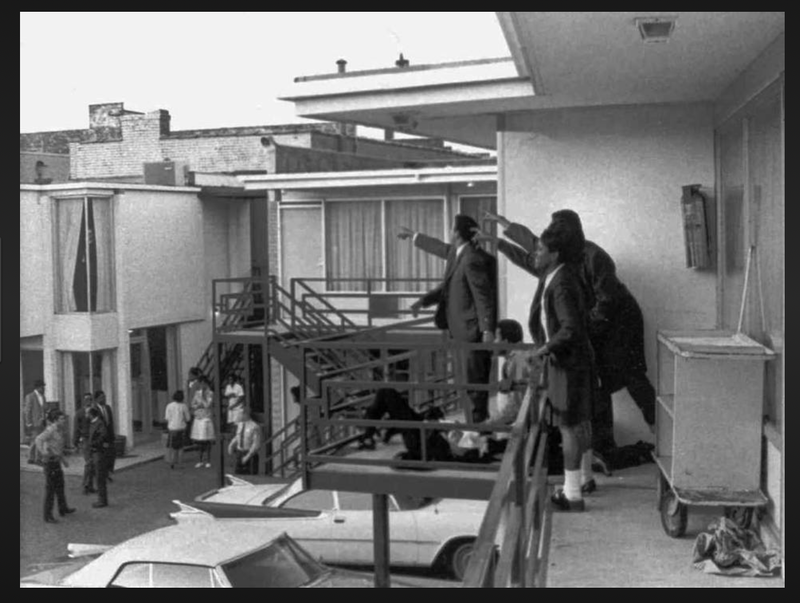 As King stepped out of his room on the second-floor of the Lorraine Motel to speak to an aide down in the parking lot, a gunshot rang out at 6:05 p.m., and the civil rights leader was fatally struck in the face. After being rushed to a nearby hospital, Dr. Martin Luther King, Jr. was officially pronounced dead at 7:05 p.m. The man who is seen today as “The Dreamer’s” natural successor, Bishop Dr. William Barber, II, former president of the NCNAACP, and current leader of another social justice organization, Repairers of the Breach, says with many of the basic rights Dr. King fought and died for still under assault – voting rights, civil and equal rights, fair housing , equal employment, etc. 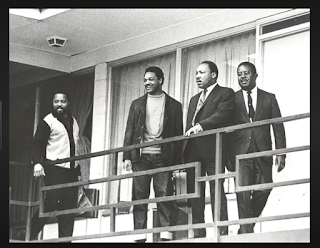 - today’s generation of freedom-lovers should remember King’s legacy and sacrifice, with careful consideration, and determined non-violent action. The man who succeeded Dr. Barber as president of the NCNAACP, Rev. Dr. T. Anthony Spearman, also believes that the baton for freedom, justice and equality must go forward, but believes firmly that, just like in Dr. King’s day over 50 years ago, young people are rising to the challenge, and demanding change, as dramatically seen last weekend during the state and nationwide March for Our Lives demonstrations in cties like Winston-Salem, Greensboro, Durham and Raleigh. [RALEIGH] Shaw University says the sale of its 50,000-watt radio station, WSHA-FM, is a move towards progress that will allow it’s communications department to grow and expand. But critics see the sale the station’s 88.9 frequency to a white Christian broadcasting company as a sellout for “a few pieces of silver,” said one Facebook poster. The station went on the air fifty years ago, and was one of the first owned and operated by an HBCU. It plays a mixture of jazz and public affairs programming, and has become a voice for Raleigh’s African-American community. The school will retain the call letters and the radio tower, and will go online with its programming. [RALEIGH] As of Tuesday, the progressive Green Party is now officially on North Carolina’s election ballot. The party qualified for automatic access on the ballot in 35 states across the nation during the 2016 presidential election. The Republican-led NC General Assembly approved the automatic ballot access, and even congratulated the Green Party. Many feel, however, that the GOP did so, hoping that the Green Party would attract voters away from the Democratic Party.